South Africa President Cyril Ramaphosa has called for the lifting of sanctions imposed on Zimbabwe saying the economic turmoil that the country is going through can only be dealt with if the embargo is removed. He was speaking on the sidelines of the International Labour Organization’s (ILO) Global Commission on the Future of Work Report launch taking place in Geneva, Switzerland. “The Zimbabwe issue is a major one not only for Zimbabwe but Southern Africa and Africa at large. Zimbabwe has emerged from a very difficult political situation but still, they have sanctions that many countries around the world have imposed on them. “We have been some of those calling for the world to relax or lift the sanctions altogether so that Zimbabwe can begin to operate in an economical manner with the capabilities that it has,” said the South African president. He acknowledged the serious economic challenges that the country is going through and said the only way the world can assist the situation is through lifting the sanctions. “They are currently facing serious economic challenges and they can be assisted by the world if those sanctions are lifted,” he said. 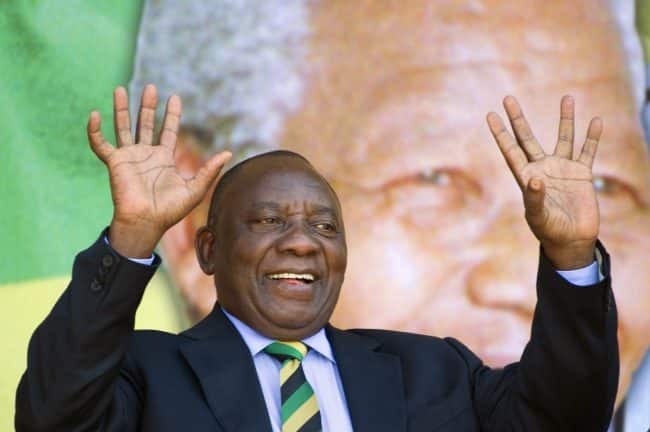 Ramaphosa also added that his administration particularly the finance ministry is working closely with their Zimbabwean counterparts to come to a solution that can bring a turnaround in the economy. “Currently we are involved in serious discussions with Zimbabwe administration to see any form assistance that can be made available to Zimbabwe. “We have not reached any conclusion yet but we have had the minister of finance from our side and governor of the central bank getting involved with their Zimbabwean counterparts. President Mnangagwa and I will meet at a later stage to see what is possible,” said Ramaphosa. President Ramaphosa was appointed in May 2018 as co-chair of the Global Commission together with Swedish Prime Minister Stefan Löfven.